One of my most favorite things about my recent move to Georgia was the availability of CSA boxes from the local farmers. I was so very excited to pick up my first box, tear off the top and dig right in! It was like a world of recipe ideas came flooding in with each item I carefully removed from the box. Yesterday, I picked up our CSA box and as usual couldn’t wait to see what goodies were in store. I anxiously unloaded my precious cargo from the truck, and carefully placed it on the table. On top were the usual suspects of pears, oranges, apples and bananas. I was a little more excited than usual to see honey crisp apples this go ’round as I really want to bake an apple cake later this week. I keep digging and could NOT contain my excitement when I found two little precious acorn squash! I immediately knew what these would become as I had a recipe in my head all week just ready and waiting for this box! I hope you enjoy these as much as we did. They’re a keeper! 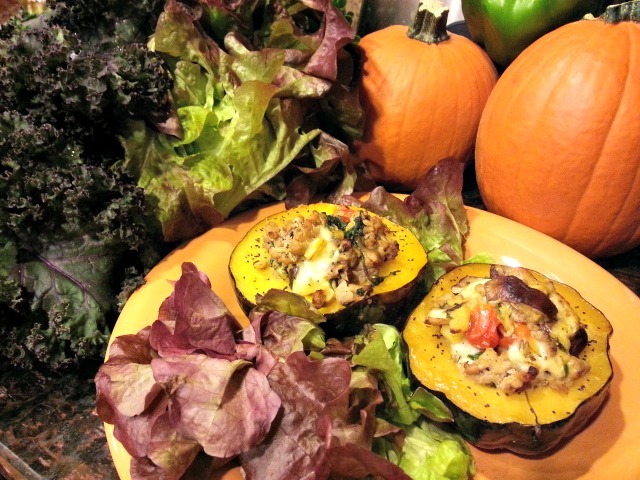 Drizzle olive oil and vinegar over the pulp side of the acorn squash. Season with salt & pepper to taste. 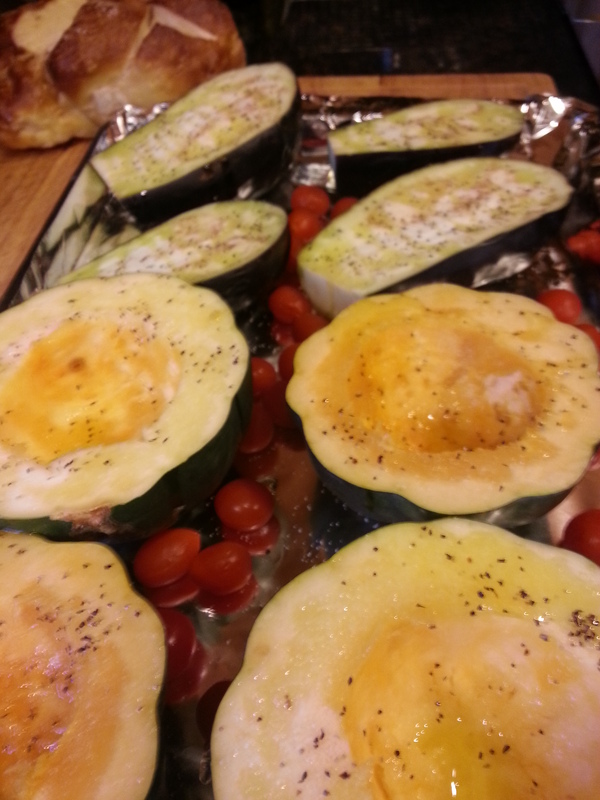 Place squash on a greased baking sheet, flesh side down. Add cherry tomatoes to the pan. 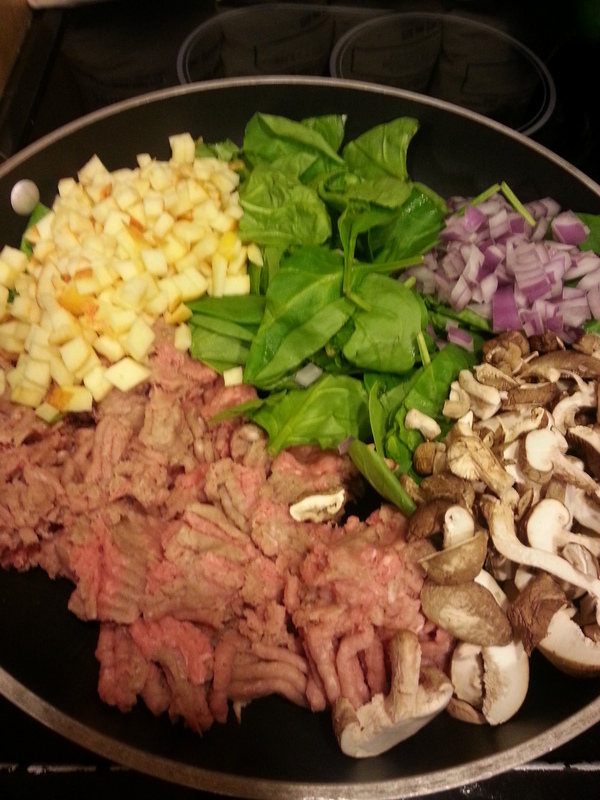 Add about 1/4 water to the pan. Roast in a 400 degree oven for about 45 minutes. Remove from oven and turn squash upright. 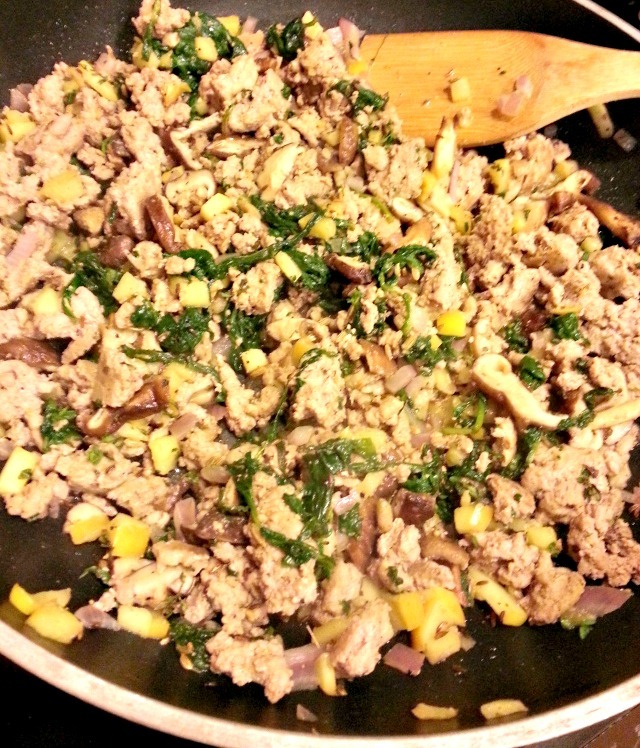 In a skillet, brown the sausage adding all other ingredients, except cheese. Saute’ until vegetables are crisp tender. Remove from heat, add roasted cherry tomatoes and stir in cheese chunks. 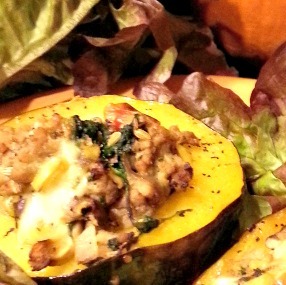 Fill each squash with the stuffing mix, then bake for an additional 10 minutes. 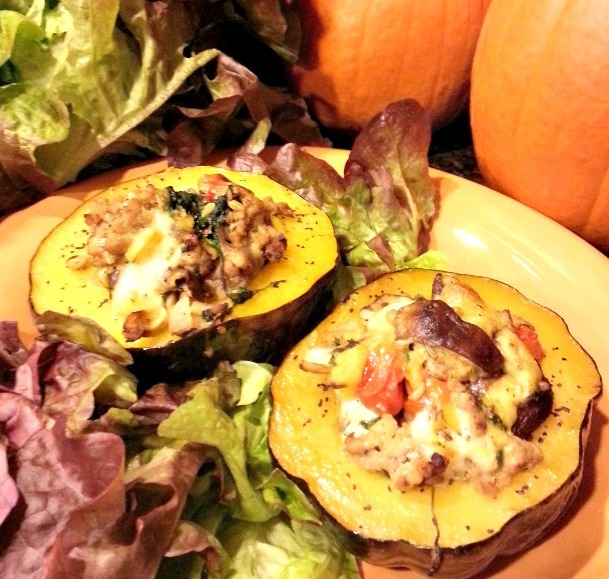 These squash have a wonderful fall flavor and freeze well for quick weeknight meals.